Fun sketch as always... I am not really a horse person...I have fallen off one too many times when I was young. However, there are many horse lovers out there and this one is for them! 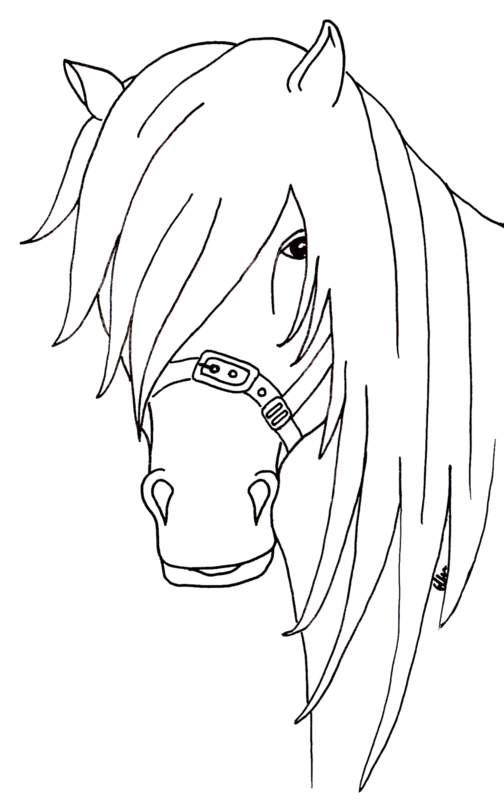 Image can be found here: B & P Horse. I did not feel like coloring this am so I decided to print on kraft. All other paper was from my scrap pile. Sentiment is computer generated. Well I for one am a big horse-lover, so this card works for me! I love all the stars and blue brads too! NJ! I find horses quite pretty, however, I prefer to look at them from the ground. lol. Whenever I'm not in the mood to color, I like to stamp on kraft also. Great job this week! I love the simplicity of the horse. Your image fits in perfectly with this sketch! The colors work well too. Would never have guessed you are not a horse person -- love the card. I am a horse person had them up until 5 years ago -- miss them everyday. I like the colors you used on your card and the horse image too. I love using kraft cardstock. Good job on the card. I love the horse stamped on the kraft! I think it stands out just fine without being colored. It works so well, with the star patterned paper. Great job with this week's sketch challenge. Great idea to stamp the horse on the kraft! I like the star paper- the image and the paper work great with the sketch! Printing the image on kraft was PERFECT!!! Gave the whole card a rustic feel. Well done. Beautiful card Linda. Printing the horse on the kraft really gives it a country feel. Thanks for playing! I have a friend who would love that card! You gave me a great idea for her! Love the background paper (or did you stamp it?). Hi Linda, Great card - love the horse printed on kraft and the star background paper is perfect.